Create cool 3-D Effects on handmade cards, scrapbook pages or school dioramas using thick Pop-Up Glue Dots. They always keep their rotund shape and you can stack them for extra dimension. These round and mighty Dots are super-strength and work great on paper, foam, plastic, metal, wood, glass and more! These Dots are acid and lignin-free and non-toxic. They bond easily, the super sticky pressure sensitive dots are great for all kinds of crafts. 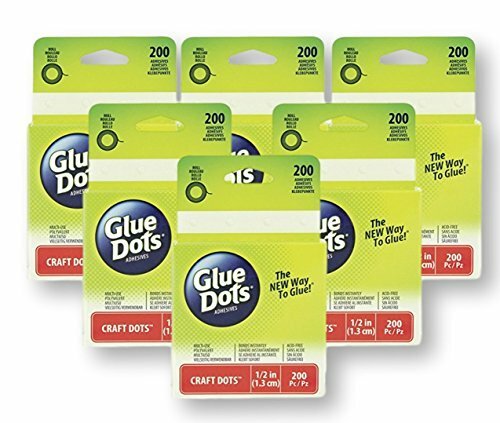 Package contains 75 Pop-Up Glue Dots with clear adhesive sheets, 1/2 inch diameter. 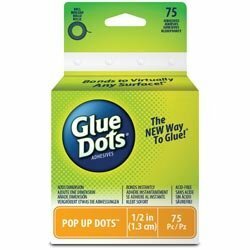 Glue Dots-Pop Up Dot Roll: 75 Clear Dots. The perfect way to add dimension to your photos and more! Bonds instantly. This package contains 75 1/2 inch round pop up glue dots. Acid free. Non- toxic. Conforms to ASTM D 4236. Made in USA. 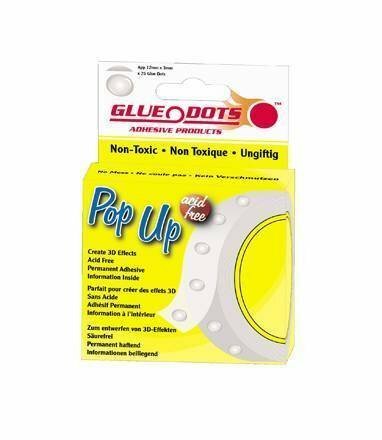 Pop-up glue dots are an extra-thick, double-sided permanent adhesive product ideal for adding a dramatic 3-dimensional quality to stamping projects, dioramas and many more other unique crafts. Faster to use than foam tape products! Works on paper, plastic and more. Use with beads and glitter too, acid free. 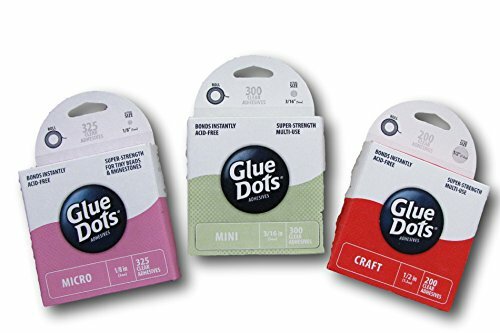 Glue dots, pop up adhesive roll, double sided adhesive dots, bond instantly to clean & dry surfaces, mess free, puts glue right where you want it, great for Scrapbooking & craft work, contains 75 dots per roll. Glue Dots® Pop Up Dots™ - Add Dimension to Craft Projects! 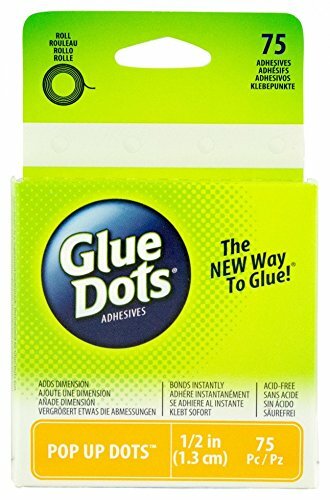 Compare prices on Glue Dots Pop Up at ShoppinGent.com – use promo codes and coupons for best offers and deals. Start smart buying with ShoppinGent.com right now and choose your golden price on every purchase.